ZVYOZDNY GORODOK (Moscow Region), September 23. /ITAR-TASS/. 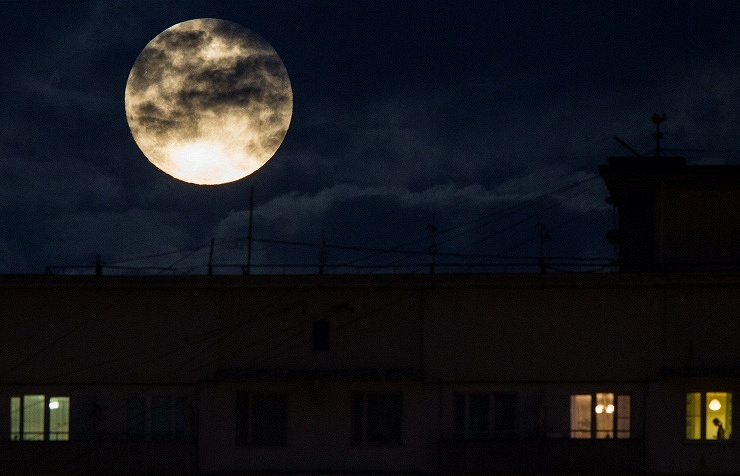 Russia’s Federal Space Agency (Roscosmos) plans to begin full-scale exploration of the Moon in late 2020s-early 2030s, Roscosmos chief Oleg Ostapenko said on Tuesday. “At the end of the next decade, we plan to complete tests of a super-heavy-class carries rocket and begin full-scale exploration of the Moon,” he said at a government meeting chaired by Russian Deputy Prime Minister Dmitry Rogozin. “By that time, based on the results of lunar surface exploration by unmanned space probes, we will designate most promising places for lunar expeditions and lunar bases," Ostapenko added. Ostapenko said preparatory work to lunar exploration missions had been started. “Implementing the guidelines of the Basic Principles of Russia’s space policy till the year 2030 and for a longer perspective, we have begun design works of a new manned spaceship, which will be the first element of a future manned system along with new launch vehicles — carrier rockets of the heavy and super-heavy classes,” he said, adding that the system would be used to take cargoes and crew to the Moon, and in a further perspective — to outer space. The majority of works under the Moon exploration program will be carried out within the framework of a new federal space program for 2016-2025. Apart from that, Roscosmos is looking at space exploration plans till 2050 and further on. “We have all the grounds to think that the plans we now have are quite implementable,” Ostapenko stressed.